Compassion is the active regarding of life through the eyes of love, seeing value in all people and situations. This committed work of mind and heart restores one’s own equilibrium and sense of belovedness, allowing for ourselves, and all others, to be known as valued members of humanity. True compassion also offers a spirit of engagement beyond the human connection to all matters, natural and otherwise. 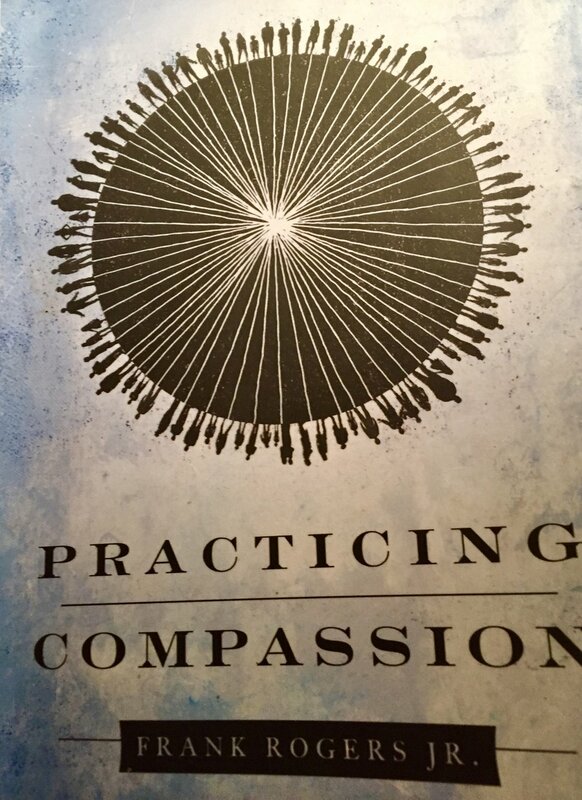 Practicing Compassion, Frank Rogers, Jr.
All the work here below had its genesis in the wonderful work Frank Rogers has articulated in Practicing Compassion. In his simple, elegant thesis he has given us real tools to find our way to the compassionate core that burns within us all. But tools that remain unused are simply inert implements. Tools must be picked up and put to use. How else can we find the endless supplies of compassion for ourselves and others that are required for the great work of shifting human consciousness? Rodgers invites us into the adventure of a life time by offering us the three paths upon which we must travel. Each person is surrounded by a cosmic circle of care and beheld by a face whose eyes gaze upon him or her as beloved. The spiritual practice of what Meister Echkart called 'detachment' can help create the spaciousness that allows for renewal. When we are caught up in our own angst, our own self focus, the presence that would offer us wisdom waits for us to detach, that it may offer its gift of compassion and renewed spirit. Here below, my attempt at following Meister Eckhart's instructions regarding attachment. It is not the easiest of practices, but imperative for those serious about the active practicing of compassion. And two lively tunes for songs I penned reflecting our struggle with the various kinds of attachements that keep us far from place of welcome to others. Compassion is firstly received as we know ourselves to be beloved. It follows then, that all others are beloved. And as such, we reach out to others with an open heart.